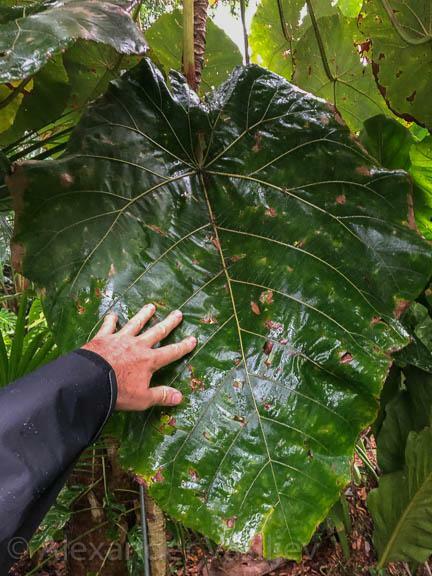 Please share what plants do you grow in your tropical and subtropical gardens that possess huge leaves, more than 12" (30 cm) in size. 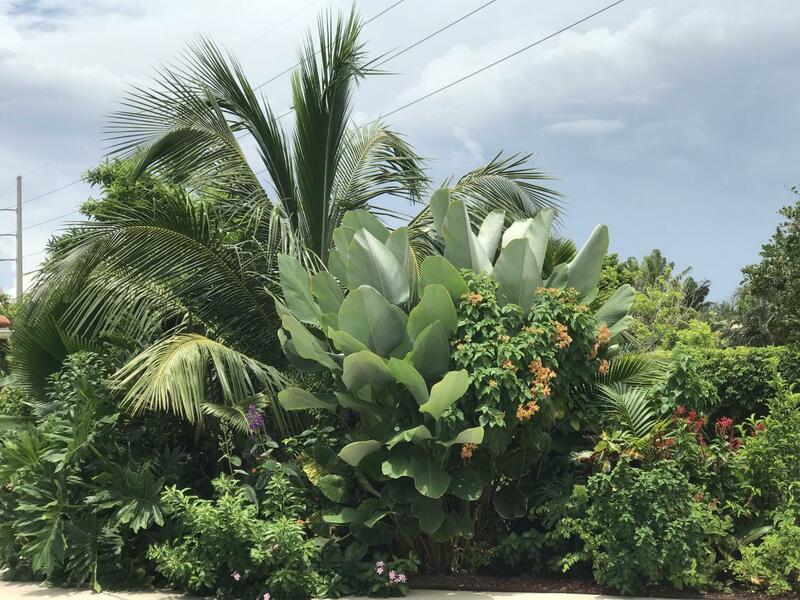 Excluding aroids, palms and cycads, bananas and heliconias. Here is one of mine... dracaena deremensis 'giganta' this picture is from last year so the plant is much bigger now. 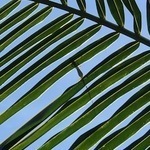 Leaves are 36"/ 91.44 cm long. My tree fern has 8'/ 243.84 cm long leaves. 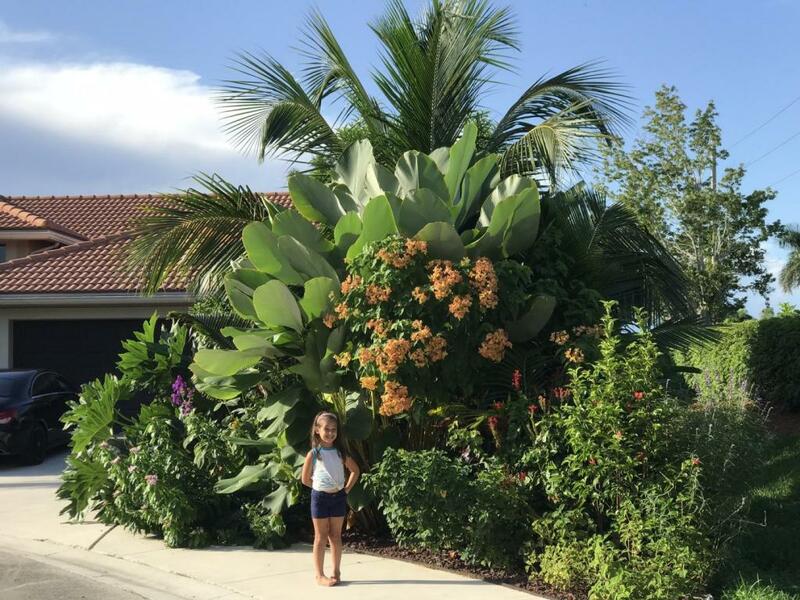 Im so jealous, I love big showy foliage. But with our intense heat and dry weather here, those plants will be toast here. 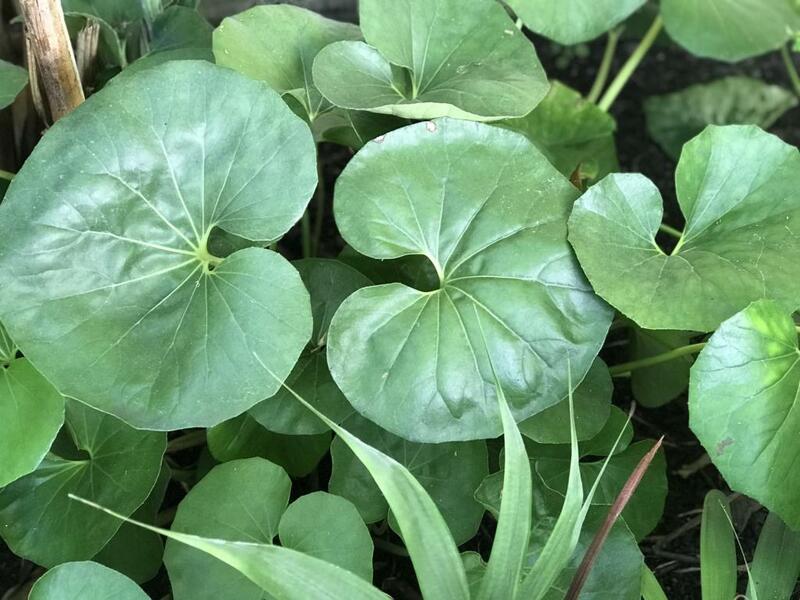 If you have enough afternoon shade, and consistent moisture, you should be able to grow Colocasia and Taro pretty easily.. A nursery i worked for in Queen Creek had both growing along the edge of their Koi Pond in way more sun than i'd have expected them to survive here. Yerba Mansa / Lizard Tail also does well here under similar growing conditions. ( forget it if the spot stays too dry, i tried.. ) Very lush and Tropical looking when happy.. Have heard of Sea Grape being grown here, ( someone up in Black Canyon was apparently selling them, have seen them offered at our local Rare Fruit Sales ) along with a sister Coccoloba species from Sonora..
More big leaf plants, people! 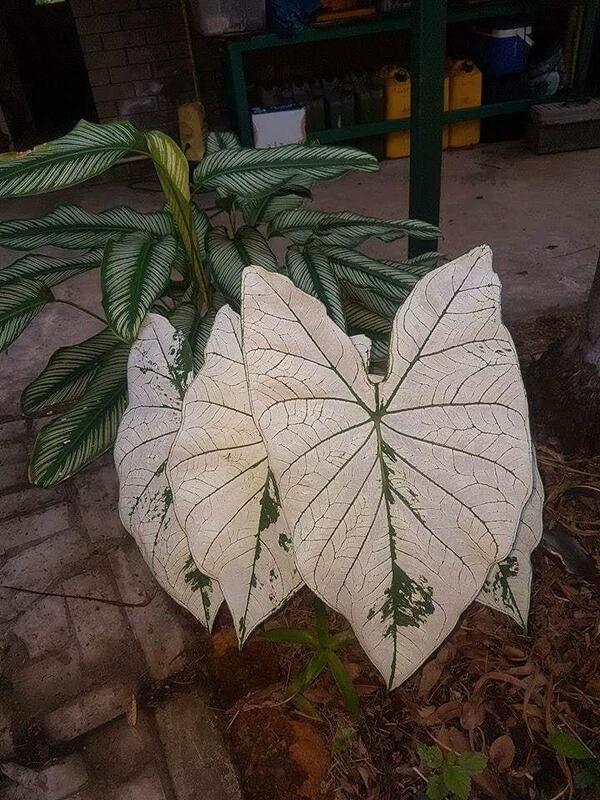 There must be more large leaf lovers! 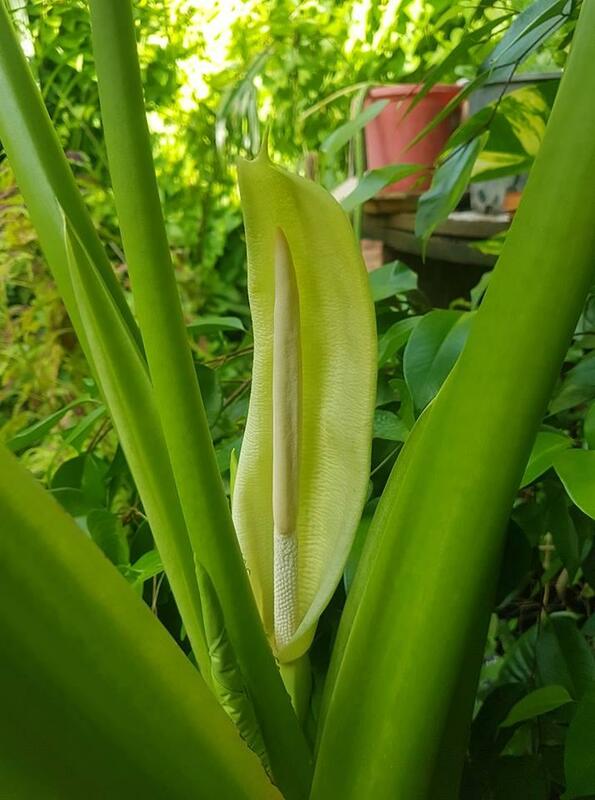 Reminder: please EXCLUDE aroids, palms and cycads, bananas and heliconias. 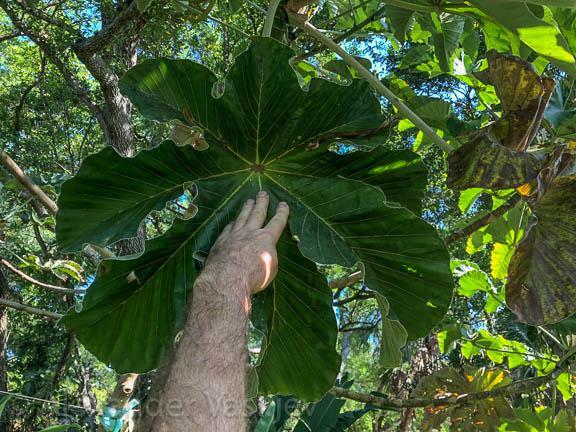 That is one of the most beautifully grown Calathea lutea I'v seen in Florida. Thank you for sharing! Strelitzias are closely related to heliconias. 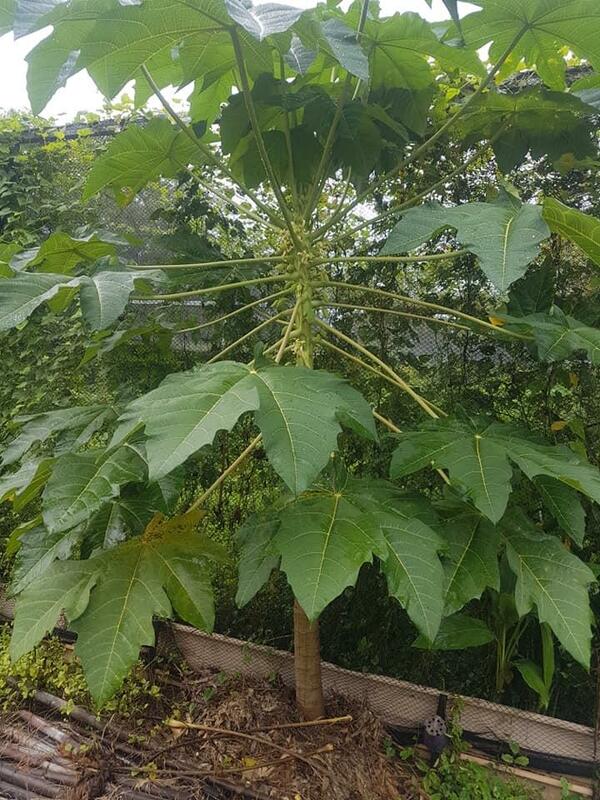 OK here's a common one.... except I have not seen a Paw Paw tree ( papaya ) without the deeply serrated leaves before. My ones are the serrated leaf variety. Someone should post an image of Rhododendron sinogrande ! 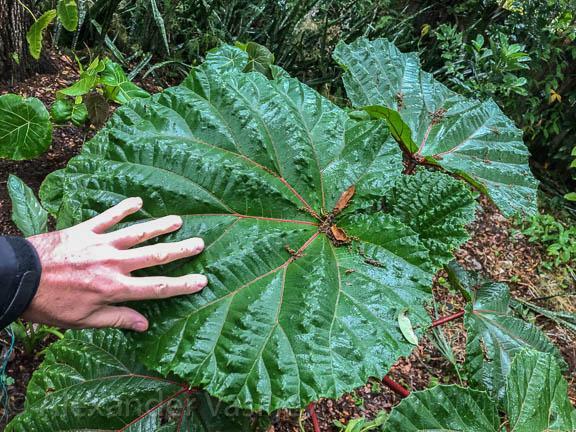 Tetrapanax ‘Steriodal Giant’, when happy its leaves can get to 3’ across and looks like a giant 20’ tall castor bean. 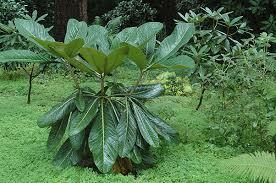 There are many other candidates in the Araliaceae family, Trevesia palmata, Cussonia spicata, Schefflera macrophylla etc. 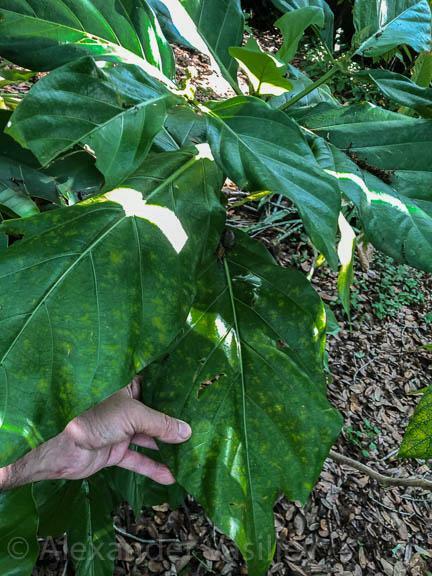 Magnolia ashei, native to northern Florida, fiddle-like leaves to 2’ long, huge white fragrant flowers in spring. 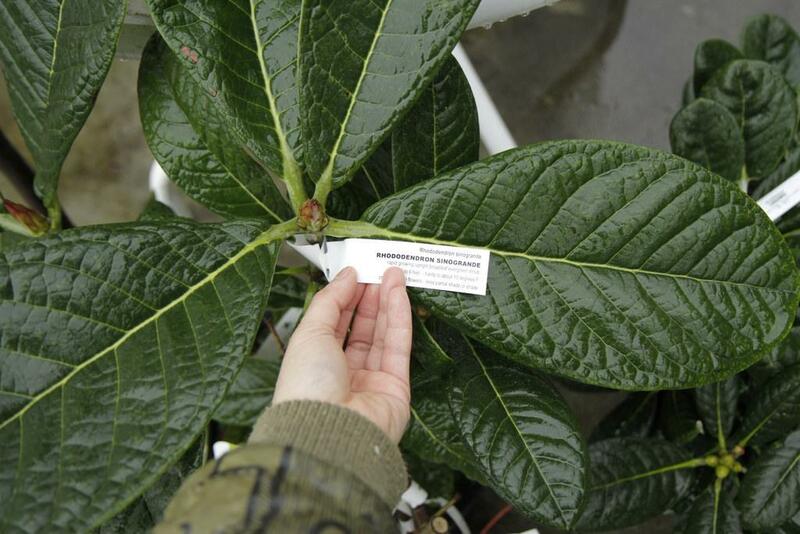 Its larger brother M macrophylla has even bigger leaves but will take up more room and can get shaggy. I have seen coppiced Paulownia tomentosa trees put out 2’+ leaves. 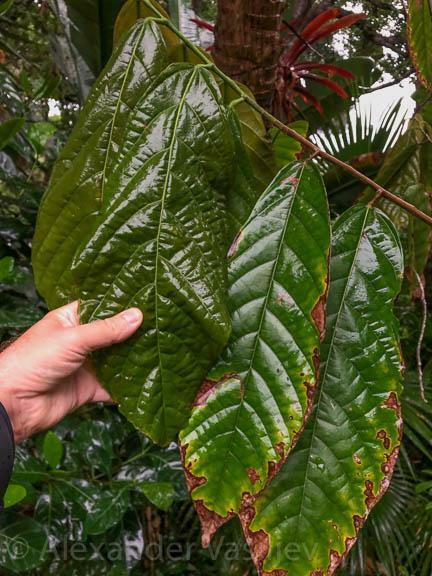 Large-leaf Rhododendrons such as R sinogrande are very impressive like Darold said. 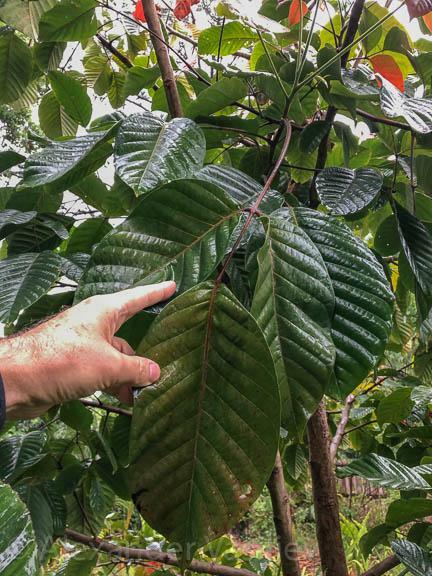 If one can grow Cacao, I would guess that Teak and Breadfruit are feasible too. 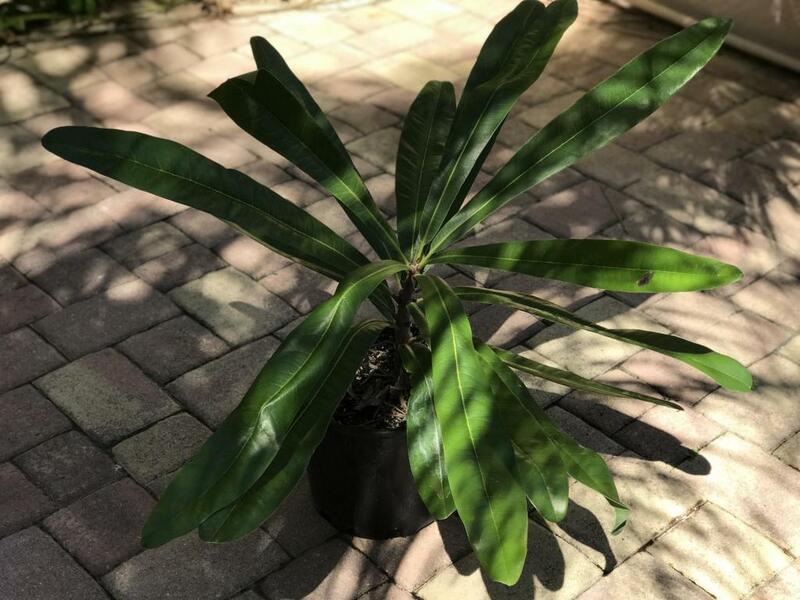 Maybe Cecropia species? 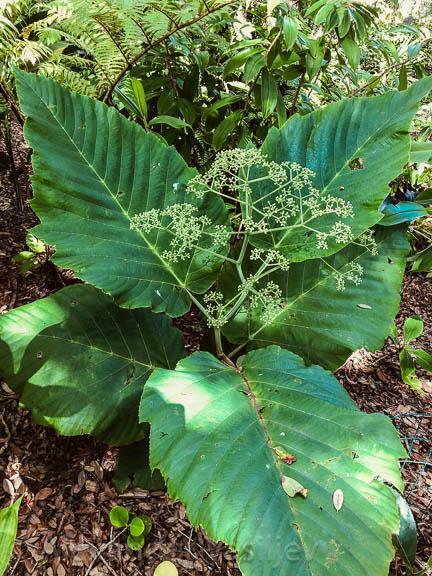 The most impressive large leaf plant I have seen with the original poster’s restrictions ( no monocots & cycads ) is Gunnera killipiana with two 6’+ flat leaves just overhead on an 8” black trunk. 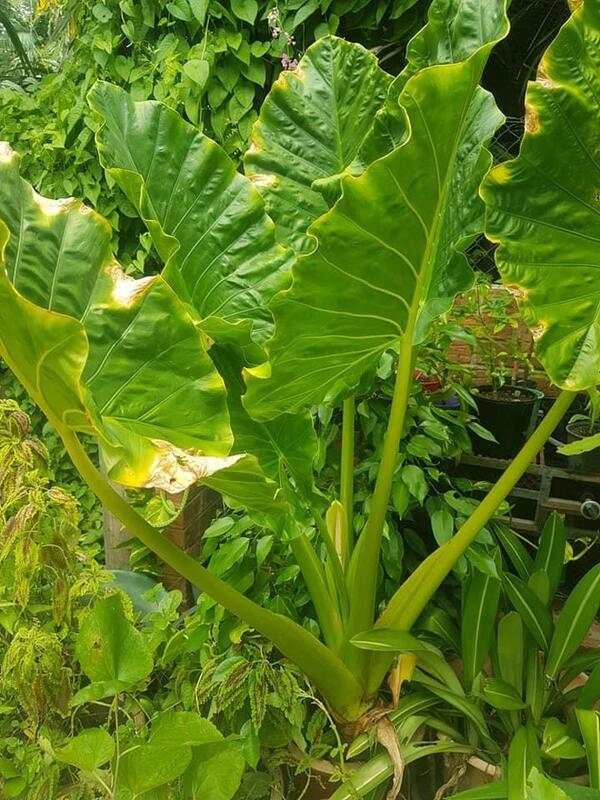 It was much more impressive than Gunnera tinctoria, which is famous for its large leaves. During the last IPS biennial in Colombia, I saw a bunch of obscure Magnolias native to that region. 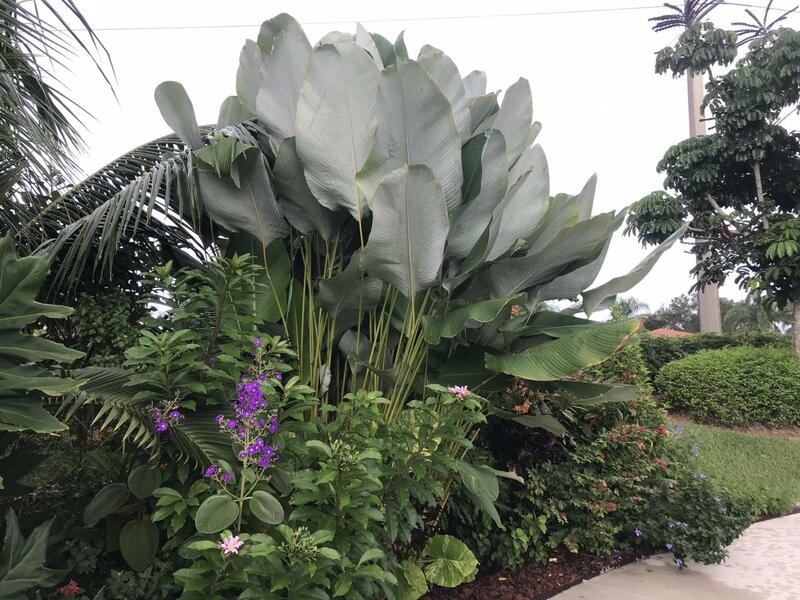 They all seem to have big leaves. 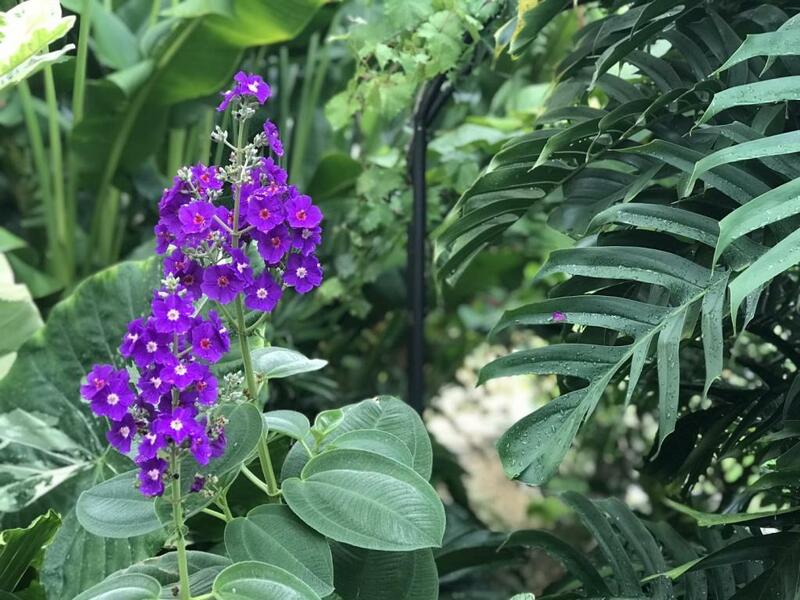 There is also this most beautiful shrub Meriania hernandoi with not only crazily exotic orange flowers and also big glossy veined leaves. During the last IPS biennial in Colombia, I saw a bunch of obscure Magnolias native to that region. They all seem to have big leaves. 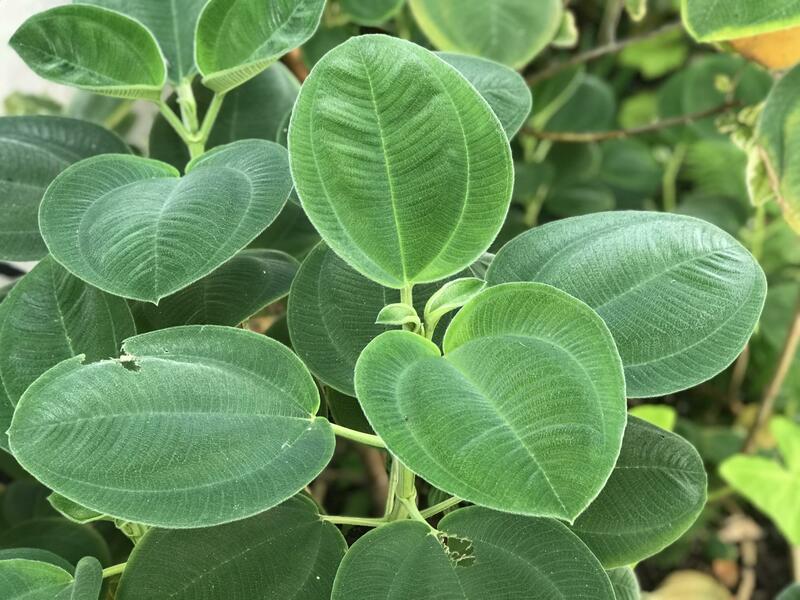 There is also this most beautiful shrub Meriania hernandezii with not only crazily exotic orange flowers and also big glossy veined leaves. 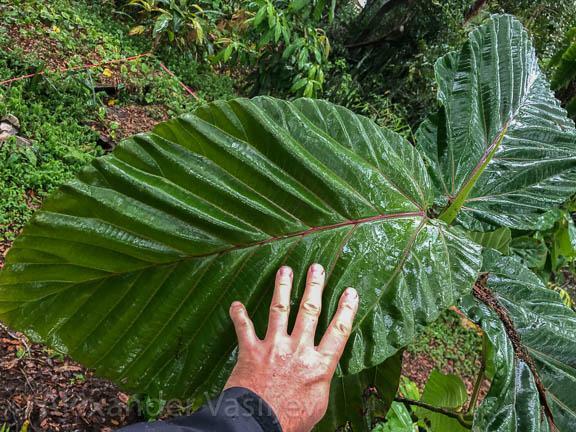 There are a lot of plants with huge leaves, the idea of this post is to see what members of this forum grow. 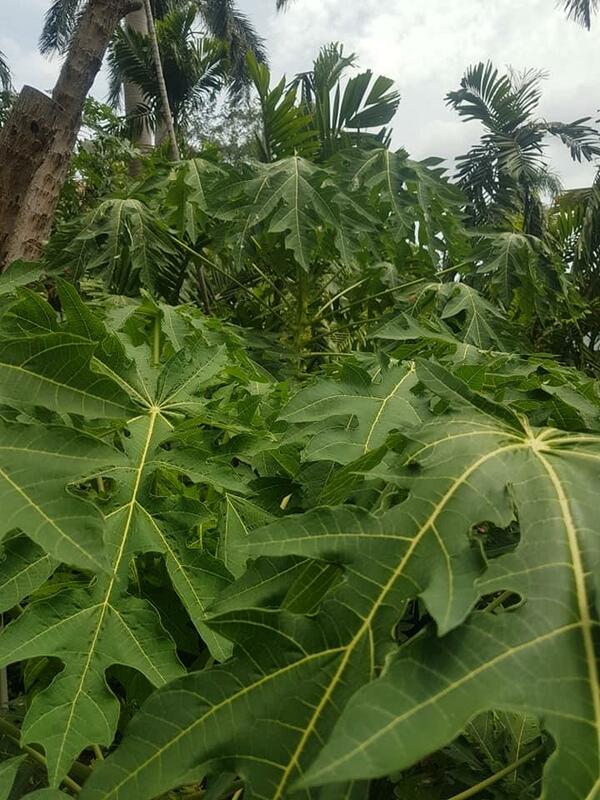 You would be surprised, but where I am, I can grow Cacao (marginally) but not the Breadfruit. Thank you for reminding about Cecropia. 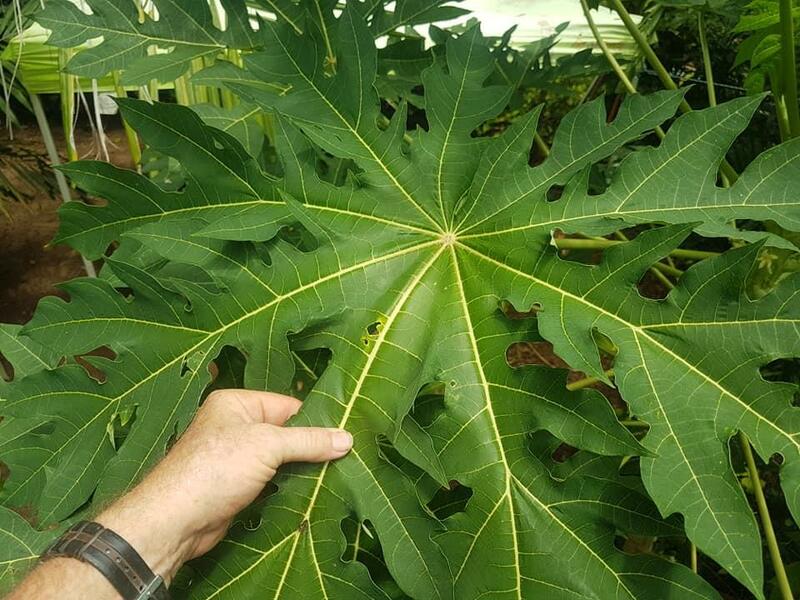 Here is Cecropia peltata that I grow, barely reached the leaf, too tall now! My Rh. sinogrande is sad looking after the horrible February cold. So here are two from the PNW and the last one is mine. 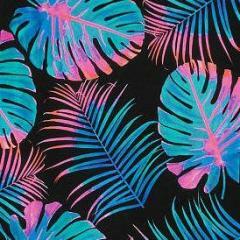 Nice set of plants you have! I will try to grow Rh. 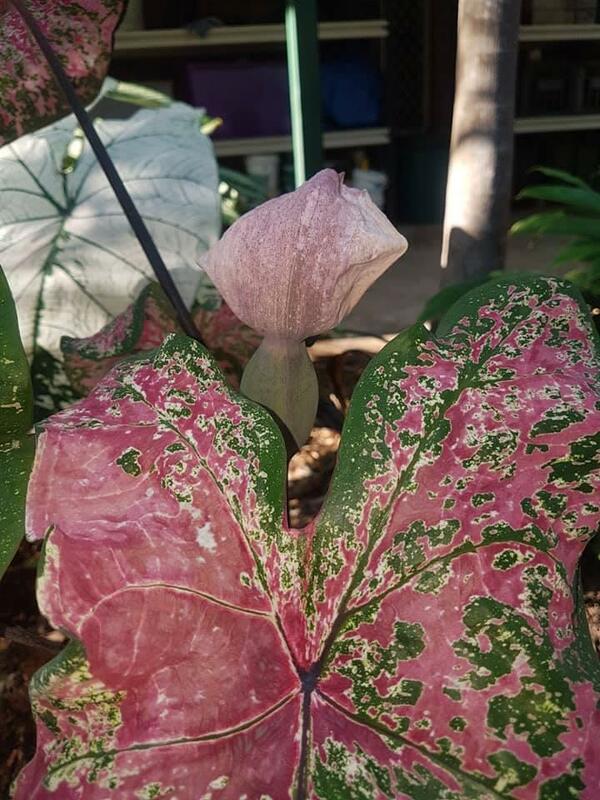 sinogrande in Southwest Florida. It's sounds crazy, I know. I found no information on tolerance for daytime heat and night/day temperature differentiation. I think the difference between day and night temperatures is more important, as it can get pretty hot during the day on its original habitat. I will plant it in the shade and hoping to test the tolerance. 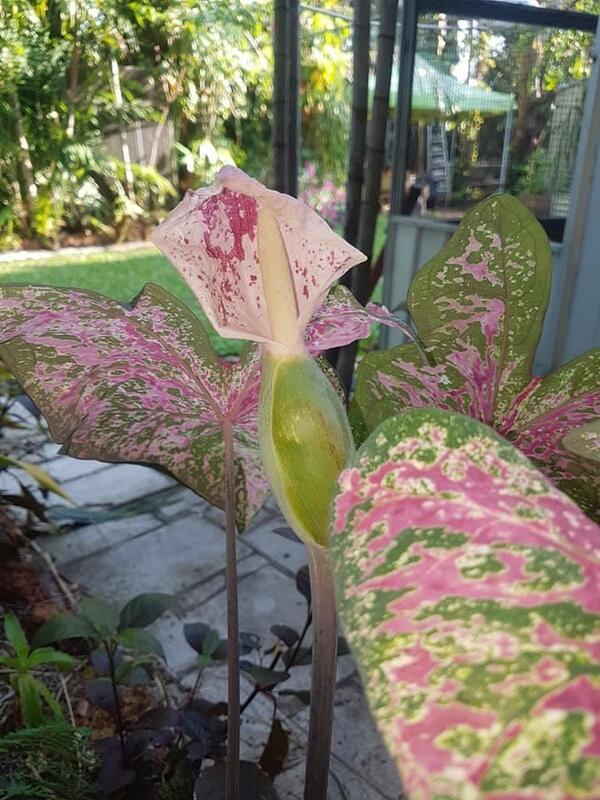 It is an extremely exciting plant to have. Thanks! 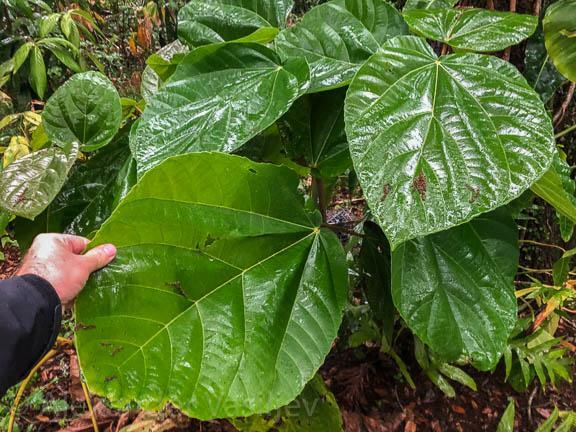 I have not heard of anyone trying this plant in your area or climate so it will be interesting to see what happens. 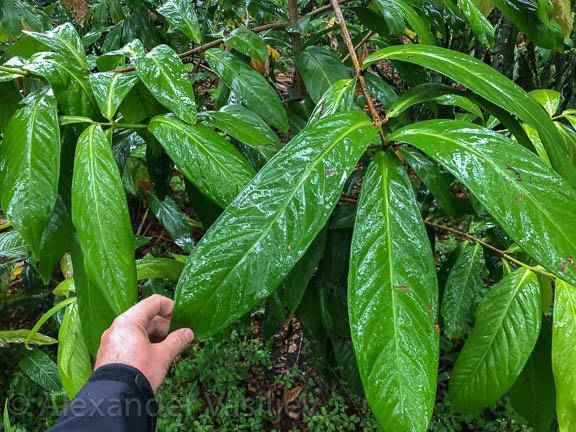 What's really cool about this exotic rhododendron is when the new leaves spears come up they are very coppery bronze metallic color and when they open they turn dark green and glossy. Good luck!